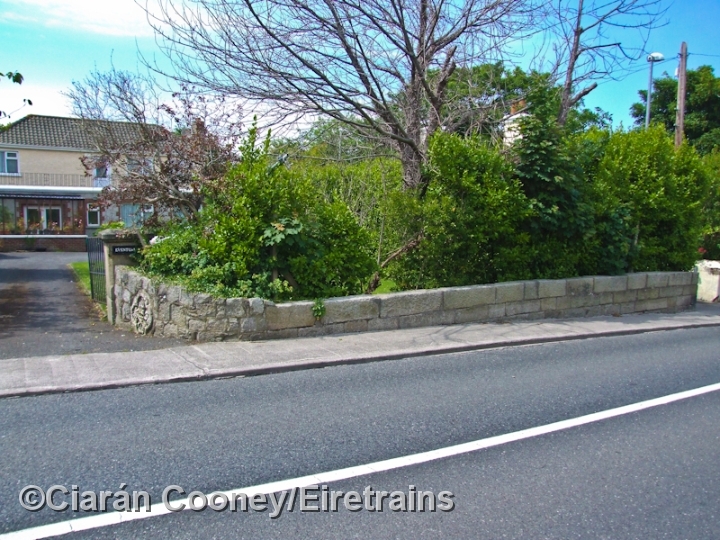 Located between the present Dalkey and Glenageary stations in south Dublin, on the Dublin to Rosslare line was the terminus of the uniquely operated Atmospheric Railway, which ran from Dalkey to Dun Laoghaire. 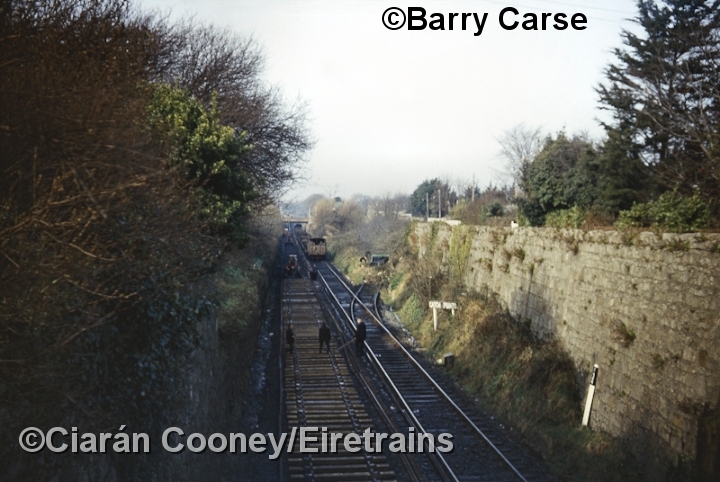 The atmospheric railway was built on the trackbed of an earlier tram route, built in 1817, which carried stone from Dalkey Quarry to the harbour in Dun Laoghaire. 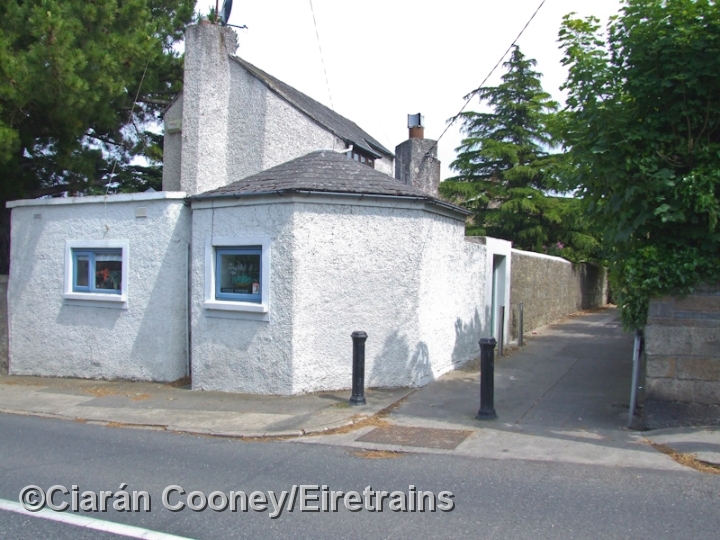 The complex atmospheric railway operated from 1844 until 1854, when the Dublin & Wicklow Railway converted it to conventional railway use, who then established a new station of their own in Dalkey. 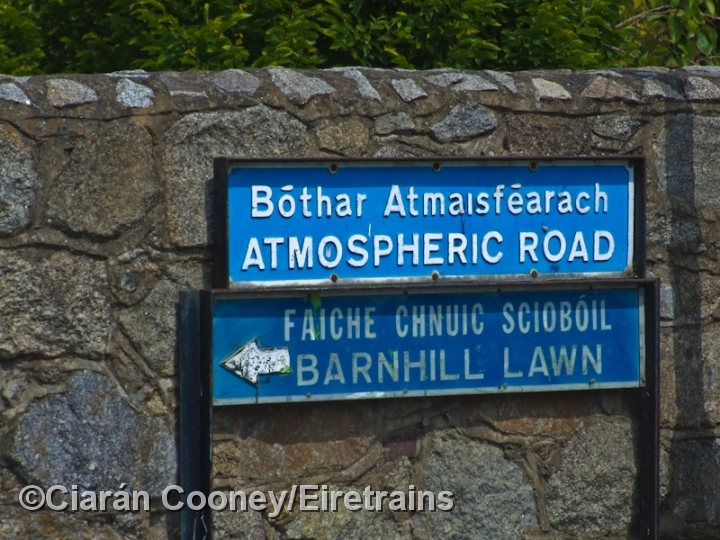 The atmospheric system employed engineless trains, powered by air pressure generated from stationary steam engines, one of which was located at the southern end of the terminus in Dalkey at Barnhill Rd, long since demolished. 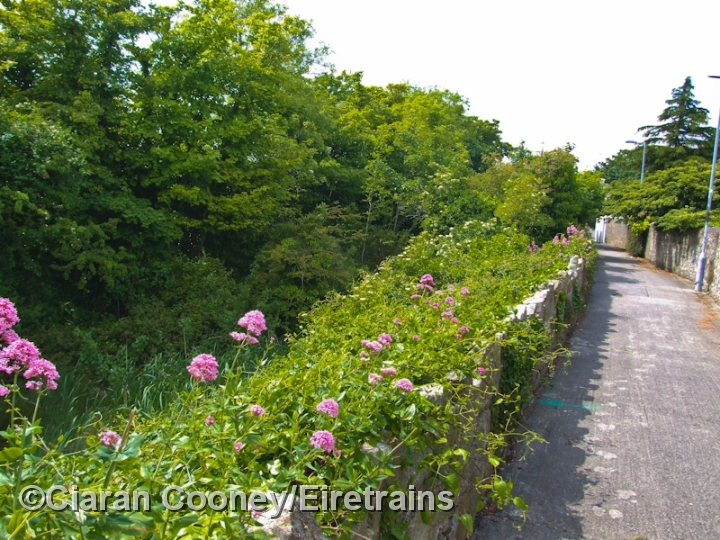 When the system closed in 1854, the D&WR re-routed the railway to avoid the old atmospheric terminus, which can still be traced today. 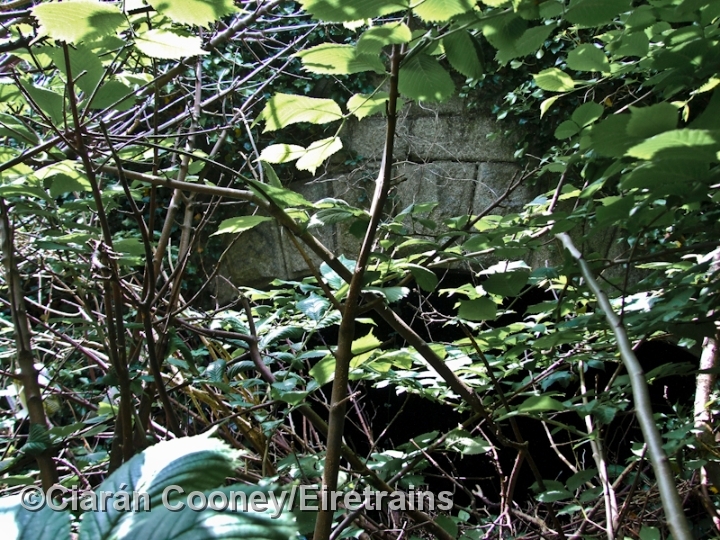 The trackbed through the former terminus remains, the southern section of which was used as siding until the 1960s for storing redundant wagons. 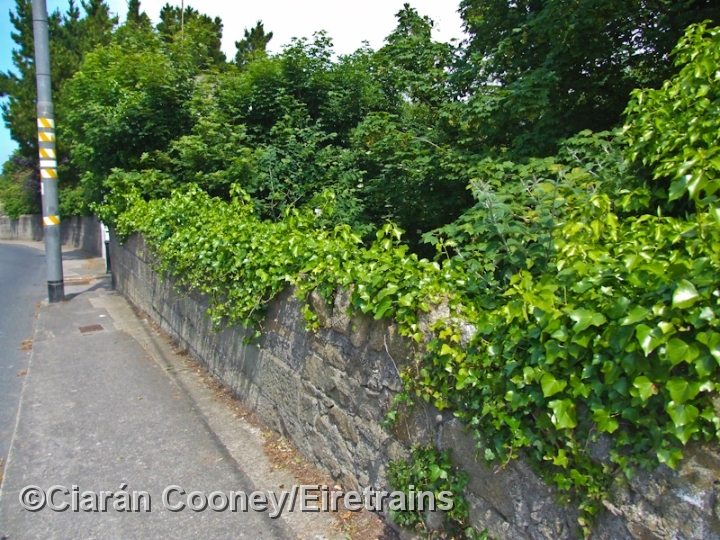 Though the terminus, located in the cutting is overgrown, an original road overbridge survives at the northern end at Castlepark Rd, and is one of the few remnants left of this one time revolutionary system. 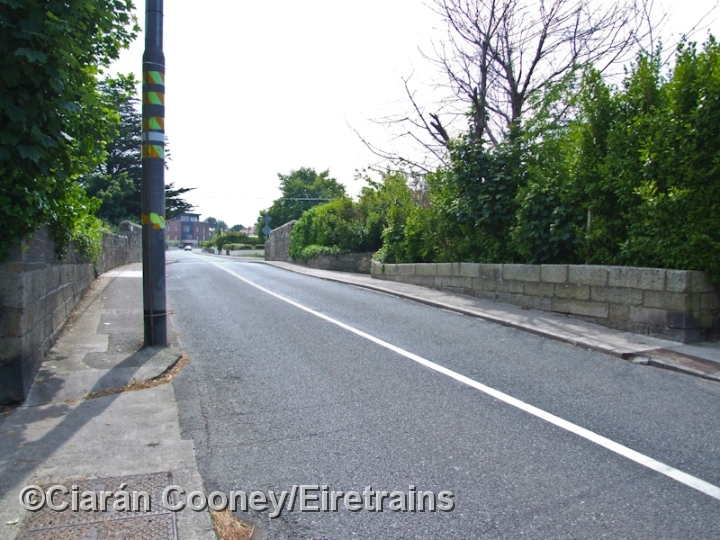 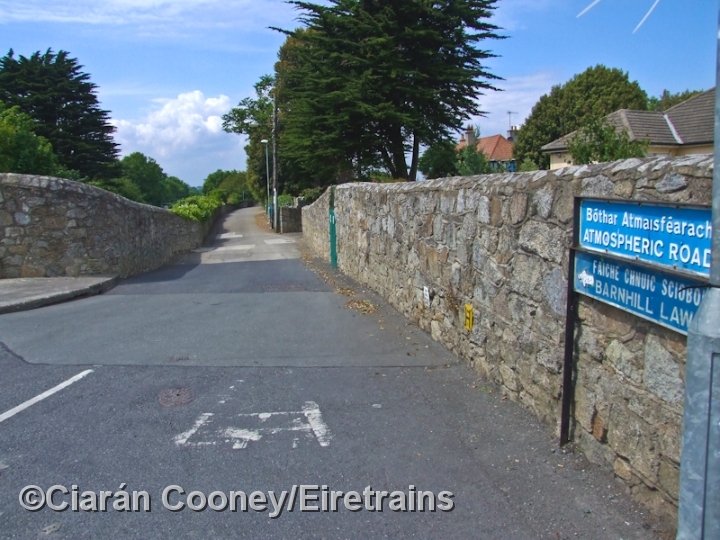 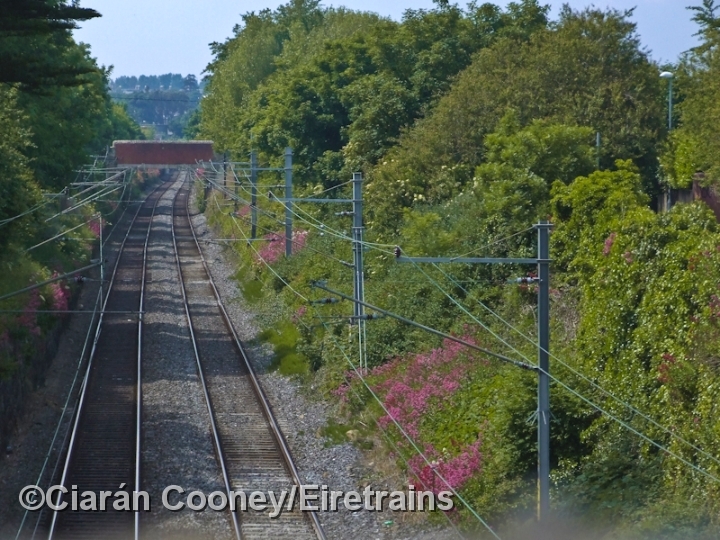 For more info on this railway see the Dalkey Home Page.